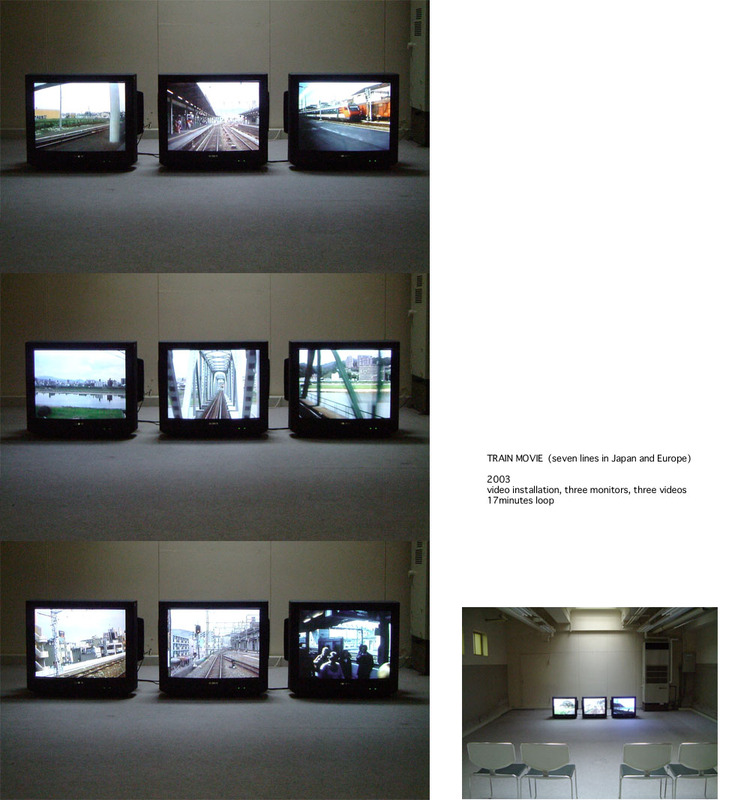 In this installation three monitors show moving landscapes taken from front and side windows of different trains in three countries and create a strange journey in which the viewer can feel as if he or she is in more than two places at the same time. The train line runs on the imaginary border of distant lands. The combined landscape which looks like continuouse and real encourages the viewer to think about the possibilities of a new world that experiences of living in different culutures and regions can open up.